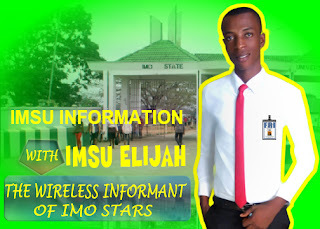 As to resumption of academic activities in IMSU, the Chapter Chairman of ASUU Engr. Luke Uzoigwe this morning confirmed to us of their congress on Monday 11/02/2019, thereafter the official resumption date would be made public. Meanwhile, the strike has been suspended and all things being equal, lectures would resume without delay next week.